A few years back I moved to Raval, where I now spend most of my days and it’s hands down one of my favourite areas of the city. In my daily routine I try to spread the local love and support my friends and small local businesses. I would start my day with coffee – it’s the one thing that never fails to get me out of bed. I would cross the Ramblas, which I otherwise try to avoid doing, especially during the summer months, and make my way to Satan’s Coffee Corner (Carrer de l’Arc de Sant Ramon del Call, 11) for one of the best cups of coffee in town. 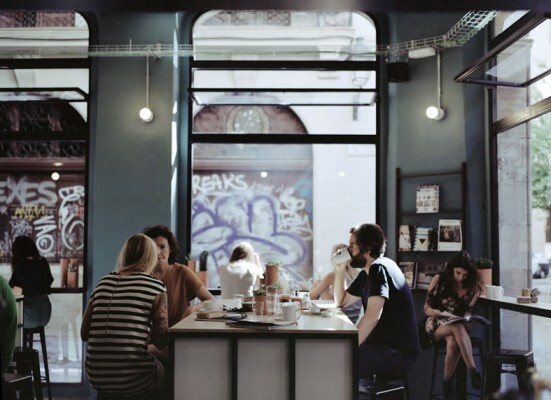 It’s a very cosy and welcoming coffee shop where they don’t believe in decaf and serve really delicious breakfast that is part of a menu that changes quite regularly and always keeps it fresh and new. It’s one of my must stops of the day. If I can’t be there in the morning I make sure to find my way there in the late afternoon. After that first cup of coffee and a bite to eat, I’m about ready to continue exploring what the day has to bring. From Satan’s its back to the Raval and if it’s not too late of a morning which tends to happen here maybe a little bit too often, it would mean that I’ll have plenty of time to kill before lunch. I try to scout out all the interesting exhibitions that are currently on view and not miss out on much that I’m interested in. In that sense Raval definitely has a lot to offer. La Virreina, just next to the Boqueria Market, has a lot of really good exhibitions that have free entries and it’s definitely a must visit place. 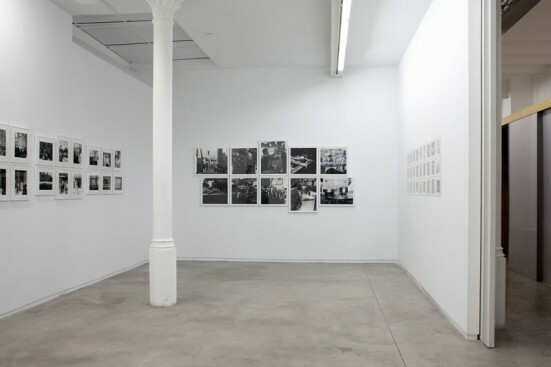 From there, heading towards Pintor Fortuny is the Àngels Gallery (c/ Pintor Fortuny, 27) that specialises in contemporary art and gets you ready for the MACBA and CCCB. Once I’ve made it to Angels it would probably be time for a lunch stop, and my all-time favourite is Caravelle (c/ Pintor Fortuny, 31), that’s very conveniently situated just across the street from the gallery. Their menu varies quite a bit and changes quite often, which I absolutely love as that way I get to try new things. But you’ll always find their tacos present on their menu card, and they are incredibly good! A couple of tacos and a very well made michelada is the perfect way to keep you going till it’s time for dinner. From Caravelle I’ll head towards the MACBA and CCCB to see what’s on view at the moment, with quick stops at both La Central del Macba (Plaça Àngels, 1) and Laie (c/ Montalegre, 5) to flick through a few photography books for inspiration. I usually tend to buy quite a few of these as I can’t resist the temptation of having them at home to look at any time of the day. From there I’ll head towards Joaquín Costa, stop at Mother (c/ Joaquín Costa, 26) for a delicious cold pressed juice to go. This would probably be the healthiest stop of the day! Going down Joaquin Costa you reach Carrer del Peu de la Creu, where you’ll find Grey Street (c/ Peu de la Creu, 25). This is definitely one of the places I pass by the most. It’s an adorable store that you can classify as a gift shop but which consequently has a lot more to offer. 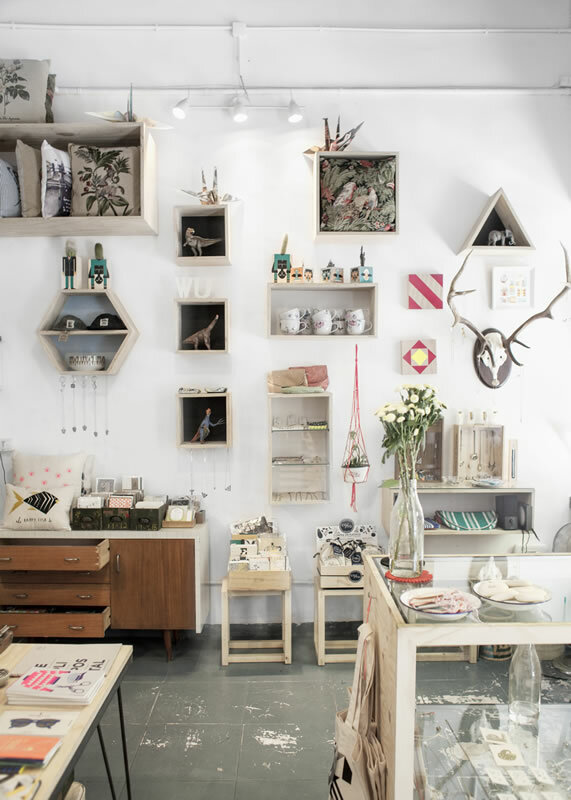 Amy has gathered a lot of different products, the majority of which are made by local and international artists. It’s a wonderful space and I can never help myself stopping by, even if it’s just to say a quick hey and get a hug. 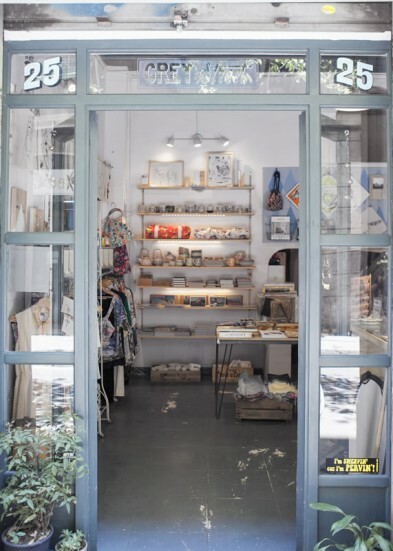 Next door there is a new ‘trade buy sell’ store called Domingos (c/ Peu de la Creu, 25), where you always find something good for incredibly affordable prices. By that time I would probably need another cup of coffee and I’ll try and find my way down to Rambla Raval and sit on one of the terraces, where I can people watch for a while. Raval has a lot to offer in that department, it’s definitely one of the more colourful parts of the city. It’s a wonderful mix of different cultures, ages and appearances. I’m probably one of the few people who still like to have dinner early and after passing by my house to take a quick shower and take a few minutes to sit down and relax, I’ll start making plans for dinner and some after-dinner drinks. There are quite a few good options to choose from in the neighbourhood but if I had to name a couple of my favourites it would probably be Lo de Flor (c/ Carretas, 18) and Bacaro (c/ Jerusalem, 6) where they have a very good Mediterranean menu. It’s absolutely delicious and one of the places you want to make a reservation for before heading there. After a scrumptious meal it will definitely be time for a drink or two, which let’s face it always ends up being a few more. I would head up to Betty Ford’s (c/ Joaquín Costa, 56). I’m a big time beer lover of which they have a very satisfactory variety. And for those of you that would rather enjoy a long drink, their cocktails are really good and the staff are simply wonderful. 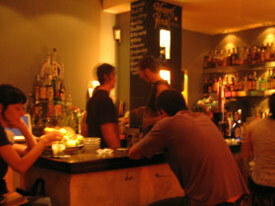 I enjoy doing all my night-time socialising in bars and tend to avoid the clubs altogether. As the clock strikes 3am it’s about time to head home and here is another thing I love about Barcelona, I can usually get there within a 10 or 15 minute walk! Maya Venkova is a Bulgarian photographer that currently resides in Barcelona but is ready to explore new destinations whenever an opportunity presents itself. Her photography work centres around the mystery of the human experience, the importance we feel to belong and identify and above all the way that we relate to what it is that surrounds us. You can have a look at her website and at her day-to-day photographs on her blog. Love this! One neighborhood that I still need to explore more of. Thanks!